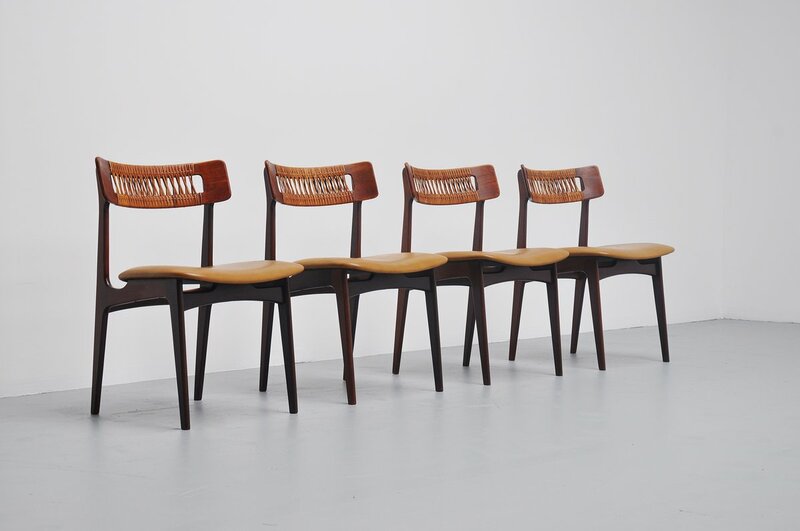 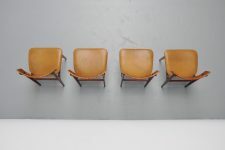 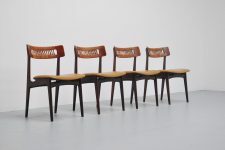 Very nice set of dining chairs, unknown manufacturer or maker but they were bought in Brazil 1950. 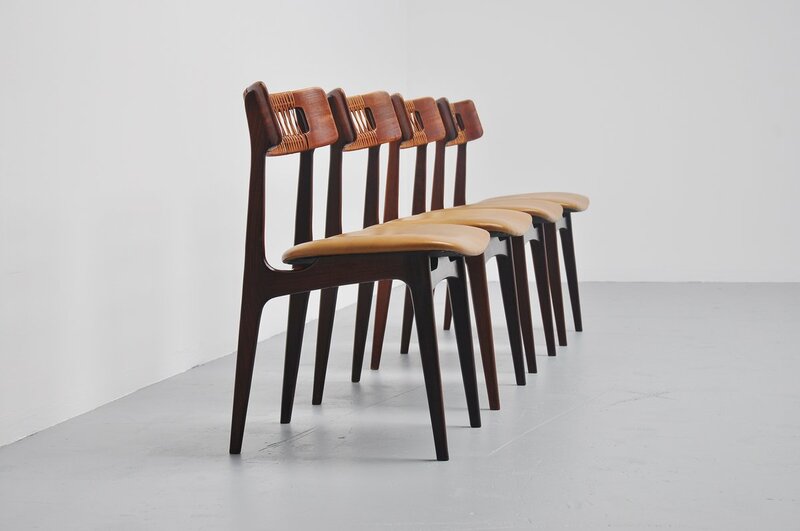 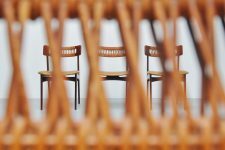 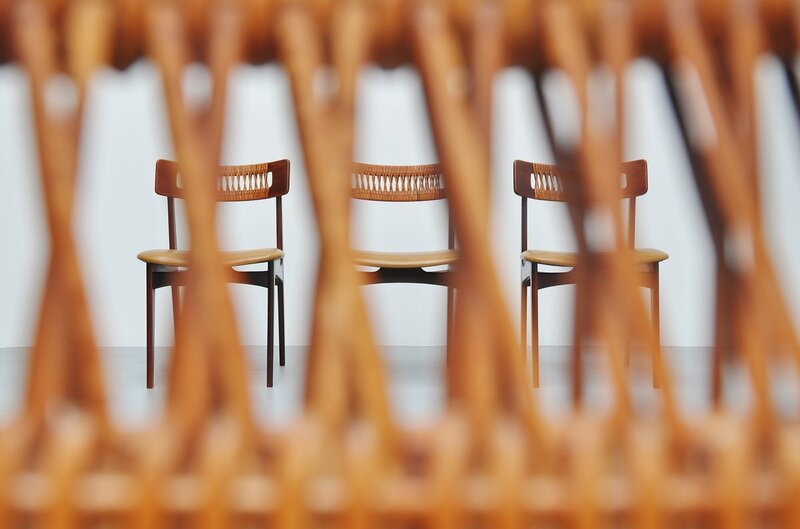 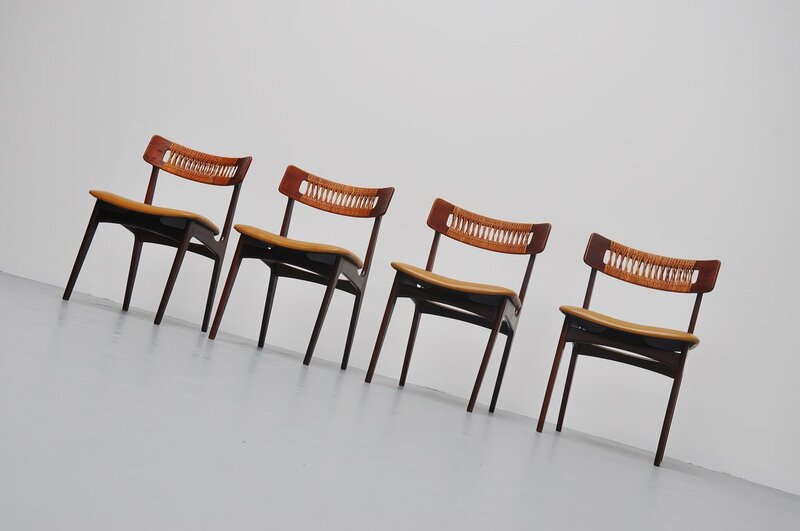 The chairs have a solid teak frame and plywood teak back finished with braided cane. 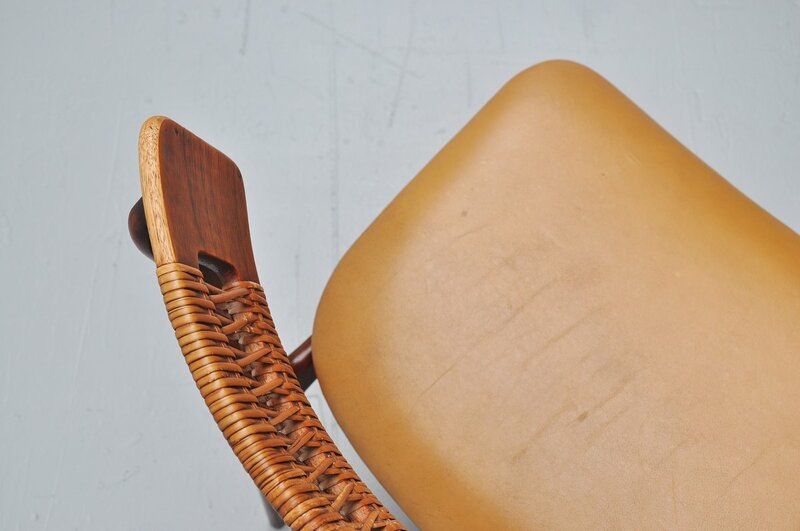 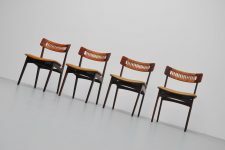 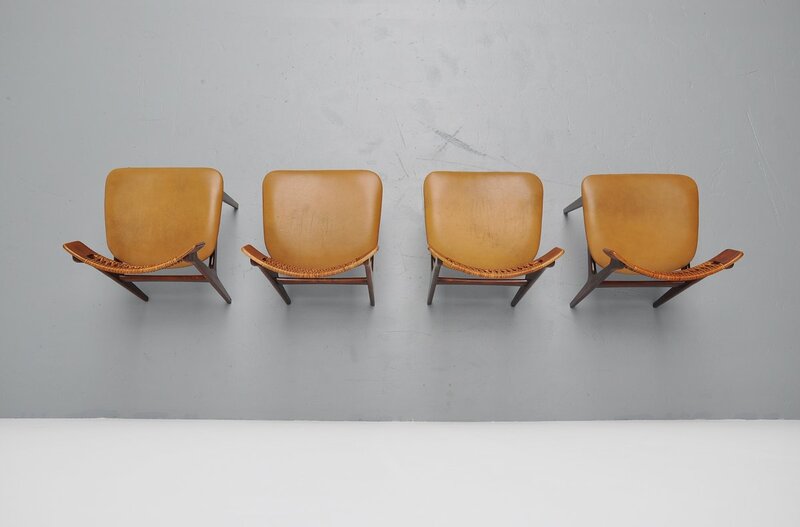 We have newly upholstered these with used cognac leather to preserve the patine of the chairs. 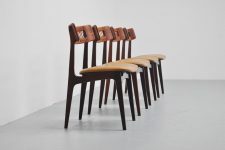 Comfortable seating, very nice set of dining chairs.